Thank You to all who have donated to help Julie Blom and family with the immediate and unexpected costs surrounding the tragic loss of Julie's husband Scott and two of their children, Kaitlyn and Zach. Our goal with the Educational Fund is to relieve Julie from any burden of college costs for Josh and Sam. Though Josh and Sam will have scholarship opportunities and have saved some money for college themselves, we want to come alongside them and help them finish well with no debt. Our goal is to have $20,000 raised for each son, giving them the flexibility to continue their education. Would you be a part of making their new story a little easier? Thanks for your part in blessing Julie and sons, and honoring the life of Scott, Kaitlyn and Zach. We rejoice in the truth that, "The Lord is near the brokenhearted and saves the crushed in spirit." Psalm 34:18 and giving is an opportunity to show the love of Christ to the Blom family. 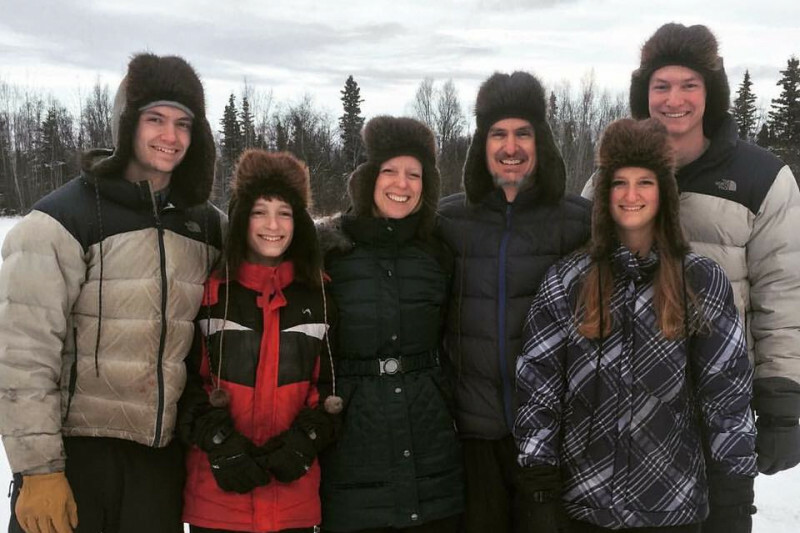 These funds are now needed to help with the travel expenses of family traveling from the lower 48 to Anchorage and for them to return to their remote home in Port Alsworth with Julie and her sons, Josh and Sam. Additionally, it will help with both Celebration of Life service expenses in Anchorage and Port Alsworth. There will be a separate memorial fund announced soon for those who desire to give a gift in honor of the Bloms. The fund will be an educational account for Josh and Sam's college expenses. The Bloms are grateful for the outpouring of love, prayers and support from those both near and far. Visit www.blommemorial.org to see memorial fund giving options in honor of Scott, Kaitlyn and Zach. Thank you for your desire to encourage this family through your prayers and support. A Memorial Fund will be set up today along with more details as to how to best direct any other financial gifts. Thank you for the outpouring of love shown through your generosity. My prayers continue for peace for your whole family. Words are so difficult to express love and support during unimaginable times. Praying for peace and comfort for you and the boys. Prayers from College Station! Hope this small gift can help in your time of need. We are praying for you and your family!